Where is a good place to go for discount tile? I keep finding things I like but they are way more than I am willing to pay for tile. Please help! It’s always frustrating when you find something great for your home improvement project only to realize it won’t work for your budget. Especially since it means it’s time to get back to the drawing board and start over. When this happens with looking for discount tile though, contrary to popular belief there are actually a few different places you can go! First of all have you checked out your local big box store? Home improvement stores have a range of price points as far as tile is concerned. If you find something you like, but the price tag is more than you are willing to pay, ask the sales person if they have anything like it but cheaper. Also it doesn’t hurt to ask them if they have any up coming sales or sale price tile that looks similar to what you’ve found. Sometimes they have tile that was a special order but returned by another customer for a discounted price. But you won’t know if any of these extra deals are available unless you ask! Second, don’t forget the seconds! Tile seconds are also a good way to find tile at a discounted price. 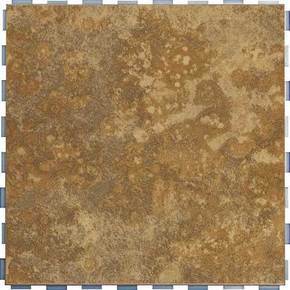 Tile seconds are tiles that may imperfections and could not be sold at full retail price. Sometimes these imperfections are minor, or consistent enough that if you haven’t seen the “perfect” tiles you won’t know any difference. Tile seconds are an especially great value if you are looking for metal, designer, decorative or glass tiles. The best place to find tile seconds is at local tile manufacturers. If the manufacturer is local you can see the tile in person before purchasing and you may even be able to sort through what they have. And lastly, more discount are at our finger tips! The Internet is a great place to find tile at a discount. If you have seen a tile you like but it’s out of your budget, sometimes you can get lucky and find it online for less. Just make sure to factor shipping costs in with the total price otherwise you could be in for a big surprise. Another thing to be aware of when ordering tile online is that you should never trust the color shown in the picture. Get a tile sample first. Otherwise you could order something non-refundable that doesn’t look as you thought it should. This is especially painful if the tile is non refundable. Because then you have to either use the tile or lose the time and money investment you put into it. No matter what you do, don’t get discouraged! There are actually a few different places you can go to get a deal on tile! Whether you look locally at a home improvement store, go to a tile warehouse or look online you should be able to find something that fits your budget and is still keeping with your individual style.